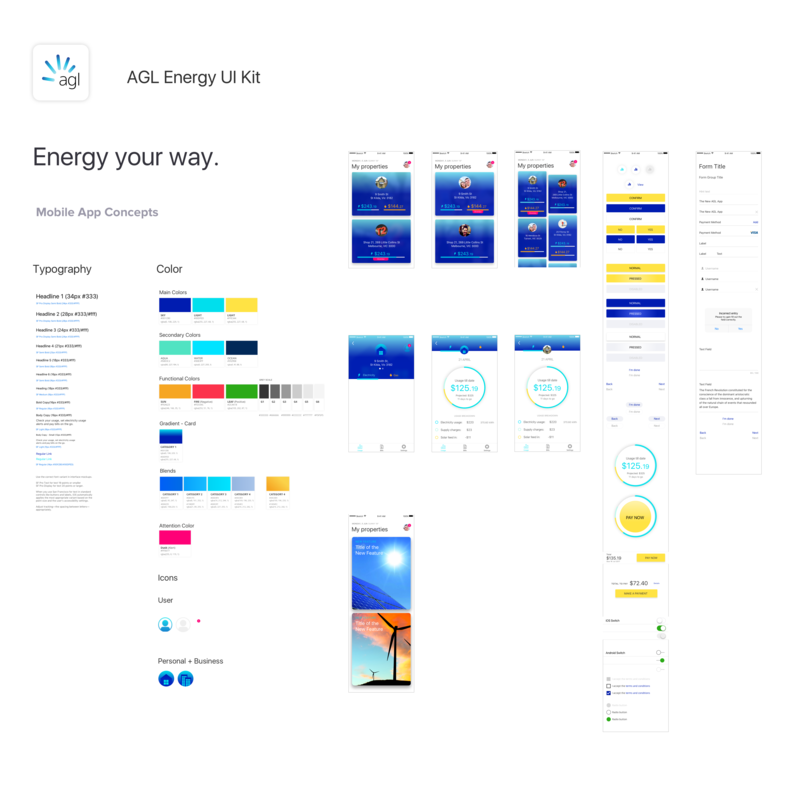 Lead UX/Visual Design for the AGL Energy Mobile App. Create and test optimised IA structures for a new mobile app using card sorting. Wire frame and test prototypes of the new app design with customers. 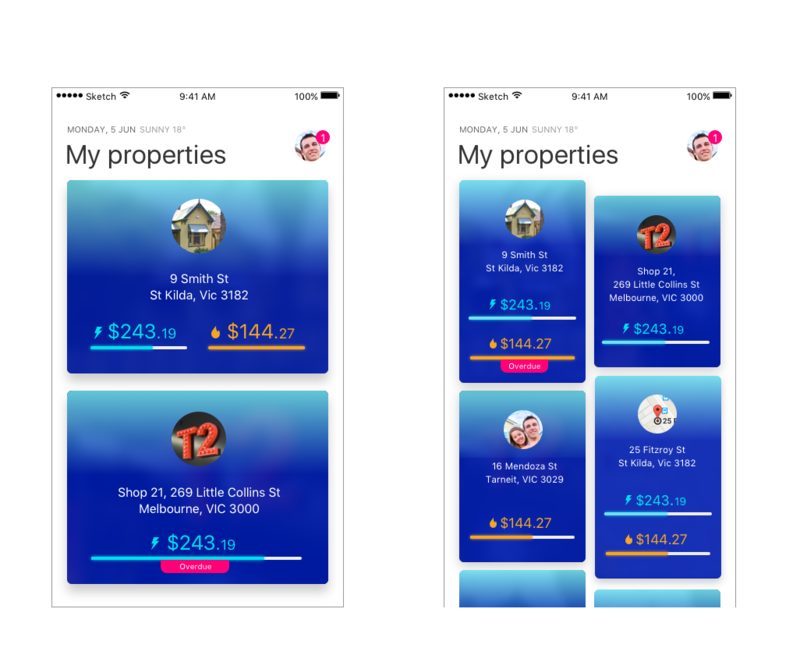 Create UI Kit concepts and design components for the new AGL App. 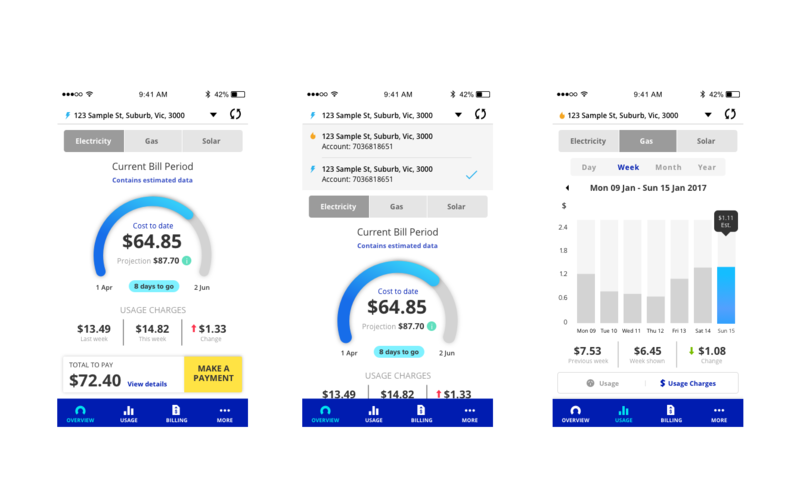 To create a more personalised customer experience in the AGL Energy App and an easy to navigate IA for those customers with multiple residential and business properties connected to AGL. 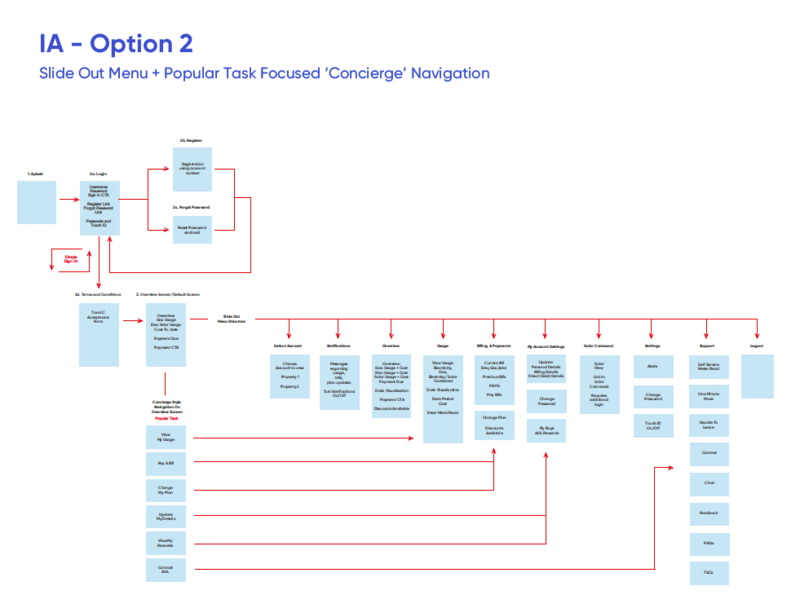 The existing app structure and IA used drop down lists and multiple tabs. An intuitive, efficient IA and clean design optimised for accessibility. 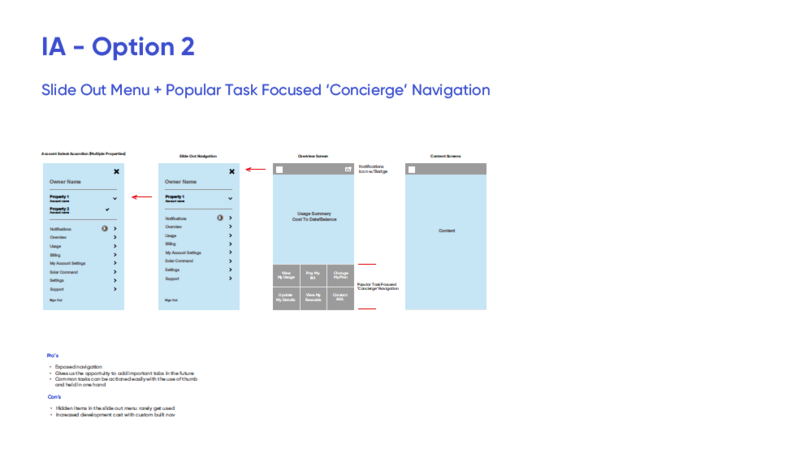 A componentised app UI Kit for streamlined design patterns and the use of cards for customers with multiple properties. The cards would have customisable profile images and a summary of energy costs for different fuel types. 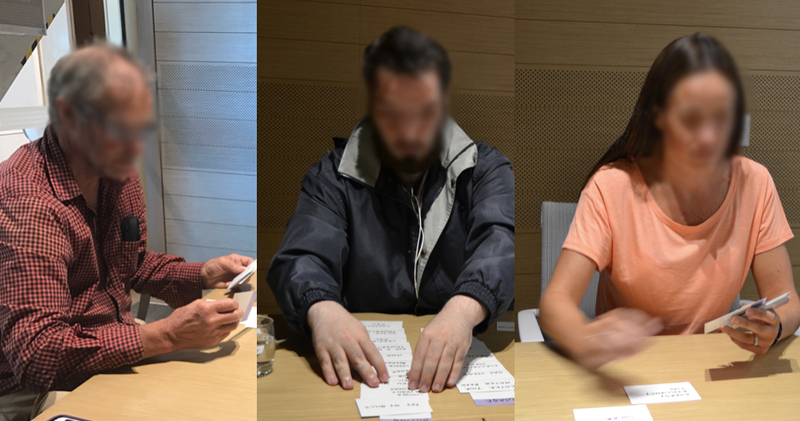 The user could interact with each card and be presented with further details of the property. The cards would split into 2 scrollable vertical columns for customers with more than 4 properties.